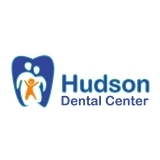 Hudson Dental Center (West New York) - Book Appointment Online! At Hudson Dental Center, we love to see you smile. Really, we do. That's because we take great pride in offering the most up-to-date dental techniques in a relaxed, friendly atmosphere, served up by the most knowledgeable and experienced dentists in the field. Dentistry has advanced by leaps and bounds over the years. Gone are the procedures of old that delivered substandard results. Now, almost anything can be accomplished with the right technology and know how. We use the latest technology, and all of our dentists are thoroughly trained in the latest techniques. We offer specialty services by PERIODONTIST and ENDODONTIST under one roof. That, combined with our unwavering commitment to you, results in an experience that's unlike any other in the dentistry field. At this moment, we participate with PPO plans only. Please verify your insurance details with our office prior to your first appointment. Great visit. Very professional and knows her stuff.